​Oral bacteria feed on sugars from food, but they cannot use xylitol. Replacing sugar with xylitol therefore reduces the available fuel for the harmful bacteria. But, the effects of xylitol go beyond that… even though the bad bacteria cannot use xylitol for fuel, they will still ingest it. When the bacteria are full of xylitol, they are unable to take up sugar, so essentially their energy producing pathway is “clogged” and they end up dying.In other words, when you use xylitol the sugar metabolism in the bacteria is blocked and they literally starve to death. There are many studies on how xylitol reduces decay because S. mutans bacteria ingests it and dies. This is also the same for gum disease causing bacteria like P. gingivalis. Xylitol also has been proven to help with the production of collagen. Collagen plays an important role in periodontal disease. As in most connective tissues, the fibers of the periodontal ligament are mainly collagenous in nature so increased production of collagen can promote periodontal health. 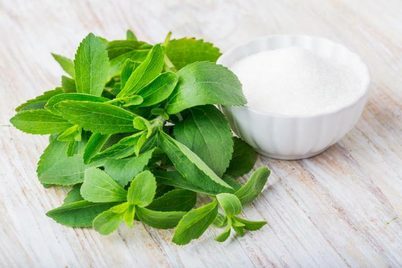 We are asked all the time about the amount of xylitol in our products because numerous studies state the 5 grams is the optimal cavity prevention amount. First, we do not have enough xylitol in our products to equal the 5 grams if you use our products as directed but, using Oracare products can be part the patients regiment to get to 5 grams. Second, just because it isn’t at the optimal level does not mean it is not doing its job of starving bacteria and helping with the production of Collagen. Every time you use xylitol you receive its benefits.